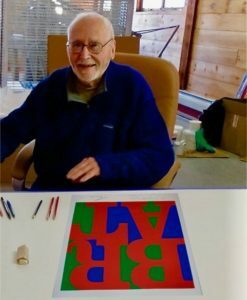 Robert Indiana, the artist known for the iconic pop art image, LOVE, died in May at the age of 89. Mr. Indiana had moved to an island off the coast of Maine in 1978 where he continued to generate highly derivative images of his most famous piece, including HOPE for President Obama’s 2008 campaign. For the last five years of his life, Mr. Indiana paid a caretaker $250K annually to assist him. He also gave the caretaker power of attorney. The caretaker withdrew over $600K from Mr. Indiana’s bank accounts supposedly at his direction. The estate is supposed to turn Mr. Indiana’s dilapidated house into a museum to display his works. The estate is now embroiled in litigation over the withdrawn cash and whether Mr. Indiana was actually producing new art at the time of his death. 1. Situations involving wealthy elderly individuals with no close family are always difficult because there is so much potential for financial exploitation. 2. Sometimes the caretaker is the best person to serve as attorney in fact if there are no relatives and the individual has outlived all of his friends. 3. Still, $600K of withdrawals for an individual living on an island off the coast of Maine with no place to spend the money seems excessive. 4. The last thing our country needs is another remotely situated vanity based museum dedicated to an artist of modest reknown. 5. AC/DC apparently copied Mr. Indiana’s playbook of recycling/copying prior work to earn great wealth.